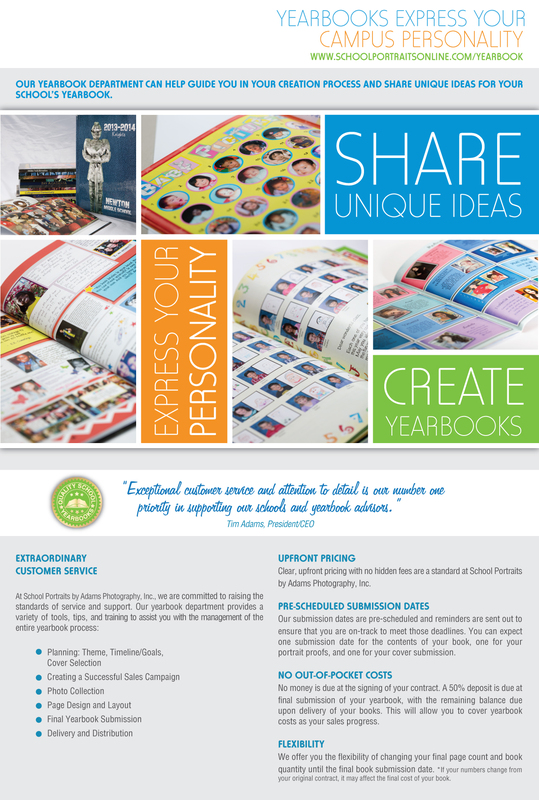 With School Portraits by Adams Photography, Inc. you can trust that your yearbook will be unforgettable. Extraordinary customer service, upfront pricing, pre-scheduled reasonable submission dates, no out-of-pocket costs, and flexibility in order quantity and page count are invaluable services in creating a partnership with your campus. Alone, they each make your yearbook experience better... but TOGETHER they make your yearbook experience exceptional!